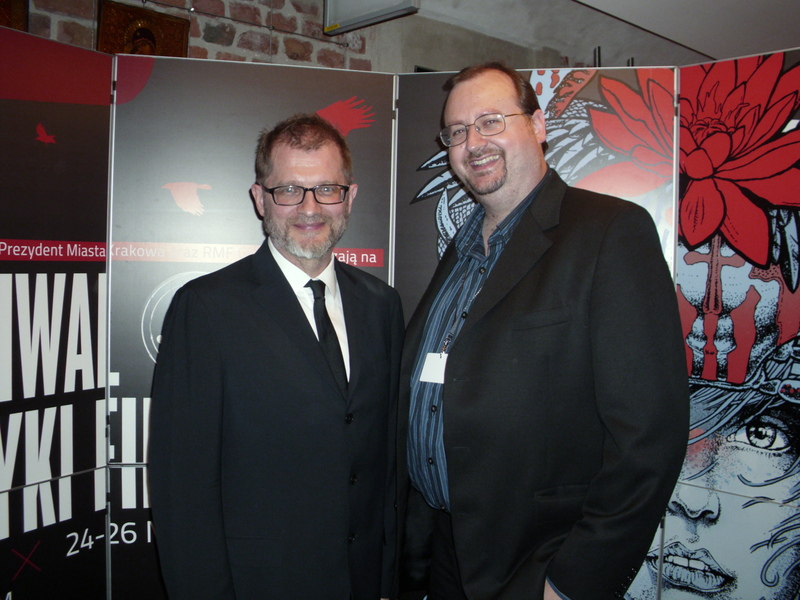 Seven members of the International Film Music Critics Association took part in the 5th Film Music Festival held in Krakow, Poland, between 24-26 May 2012. 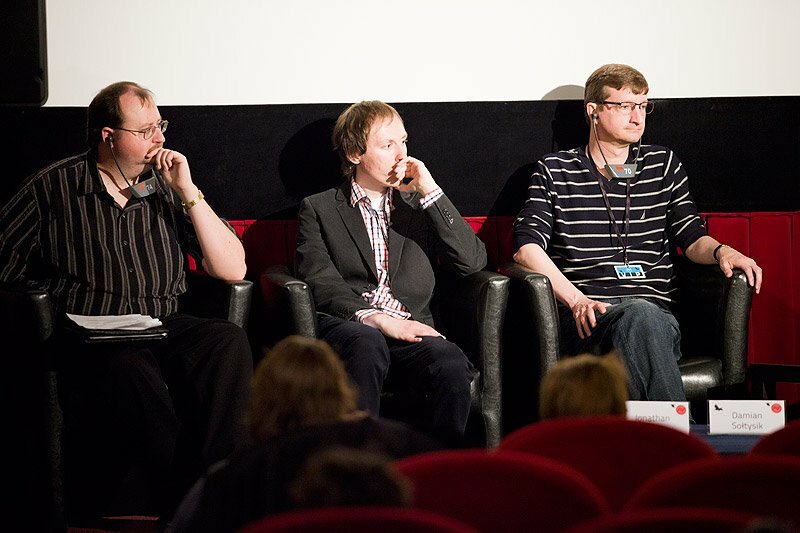 The highlight of the event was a special “festival academy” session on May 25th entitled “Film Music and the Film Music Fan Community Phenomenon”, which was held at the historic Kino Pod Baranami in Krakow’s famous main square. 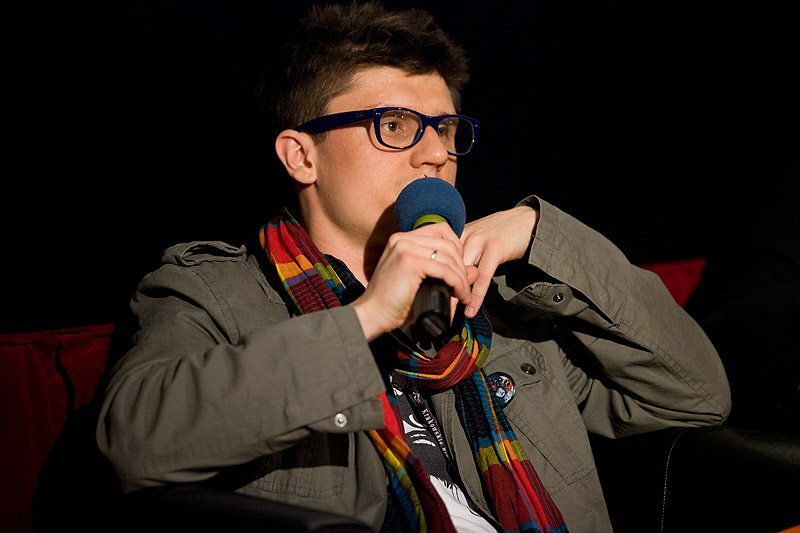 The session was chaired by IFMCA member Jon Broxton, and featured IFMCA members Damian Sołtysik, Łukasz Waligórski and Łukasz Wudarski, record label CEOs Robert Townson of Varese Sarabande and Emmanuel Chamboredon of Milan Records, and IFMCA-nominated composer Bartosz Chajdecki, best known for his massively popular score for the Polish WW2 TV drama series Czas Honoru. 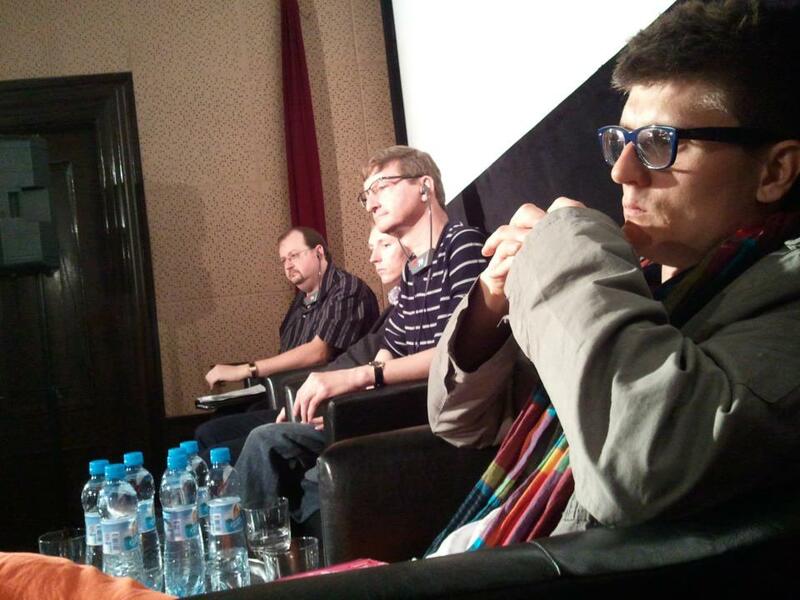 Also in attendance were IFMCA members Olivier Desbrosses, Florent Groult and Miguel Ángel Ordóñez. 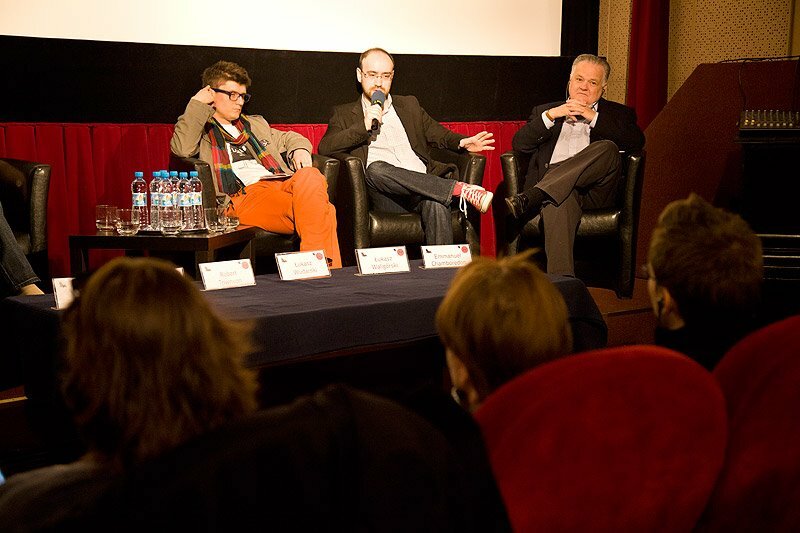 The session, which was attended by almost 200 people, looked at all aspects of film music’s “after-life”, and the discussion ranged from the general state of modern film scoring, the issues and obstacles faced by film music producers when releasing soundtrack albums, the development and success of Polish film music, the view of film music fans from the point of view of composers, as well as the role of the IFMCA in the world of film music. Kino Pod Baranami was also the host of an artistic display of Waligórski’s personal collection of framed, signed film music sheet music from famous works by composers such as John Williams, Alan Silvestri, Marco Beltrami, James Newton Howard, Danny Elfman, James Horner and Dario Marianelli. The IFMCA’s session was one of six academy sessions hosted by the Festival; the others included a look at the running of an Oscar campaign by Hollywood-based publicist Ray Costa, an examination of the music of the Alien franchise with composer Elliot Goldenthal, a discussion on the approach to scoring the film Perfume: Story of Murderer featuring director/composer Tom Tykwer and composer Reinhold Heil, and a look at the creative collaboration between Goldenthal and his partner, director Julie Taymor. 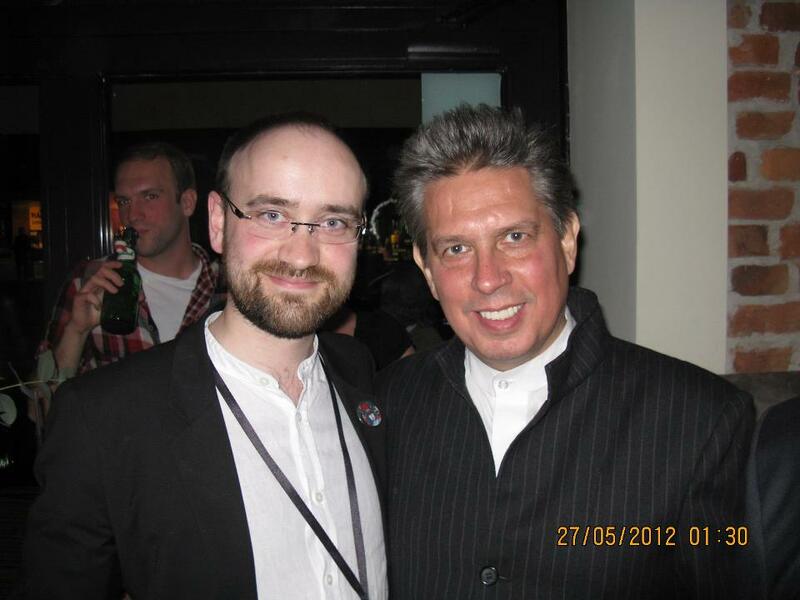 Other guests at the festival included Oscar-winning composer Jan A.P. 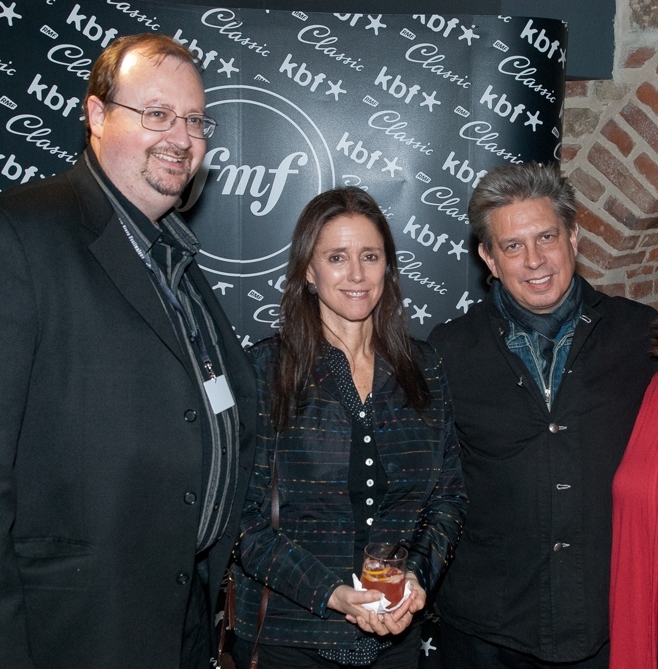 Kaczmarek, film music agent Maggie Rodford of Air Edel, ASCAP executive Nancy Knutsen, and producers Christine Rothe and Christoph Becker from German film studio Constantin Film. 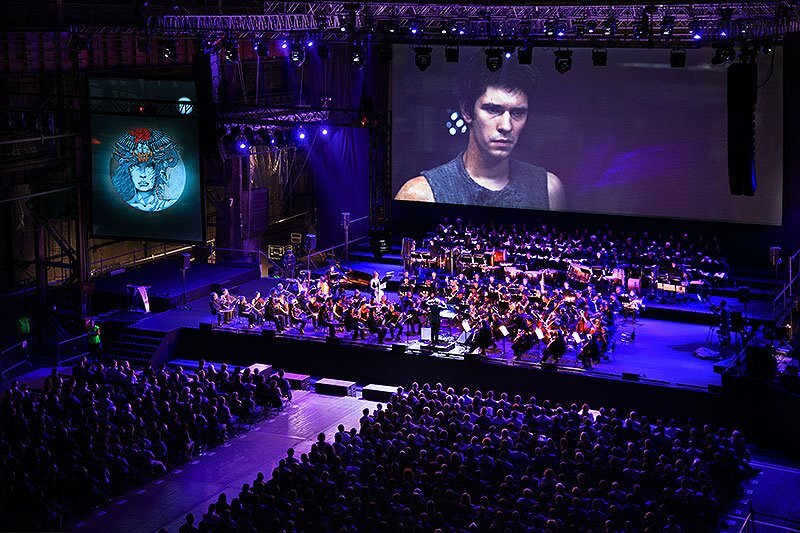 In addition to the academy sessions, the festival also showcased three concerts: first, a live-to-picture performance of the score for Perfume: Story of Murderer by Tom Tykwer, Reinhold Heil and Johnny Klimek, conducted by Ludwig Wicki and featuring vocals by soprano soloist Karolina Gorgol-Zaborniak; second, an 80th birthday celebration concert of music by the acclaimed Polish composer Wojciech Kilar, conducted by José Maria Florêncio; and third, a two-part concert featuring the so-called Biomechanical Symphony with music from the Alien saga, and several specially arranged suites from scores by composer Elliot Goldenthal, including Titus, Interview With the Vampire, and the Oscar-winning Frida, conducted by Diego Navarro. 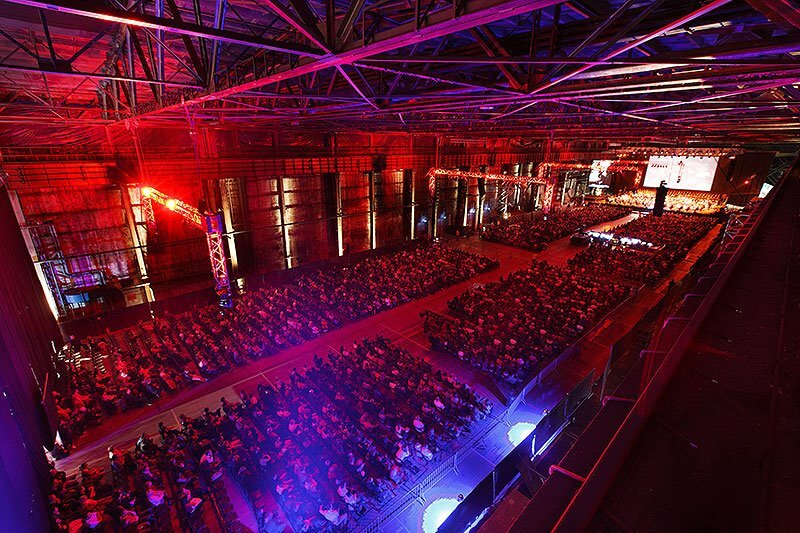 The sold-out concerts were all held at the stunning ArcelorMittal Tinning Plant on the outskirts of Krakow, a working steel mill converted to a gigantic industrial concert space especially for the Festival, and which attracted crowds of over 4,000 attendees at each concert. 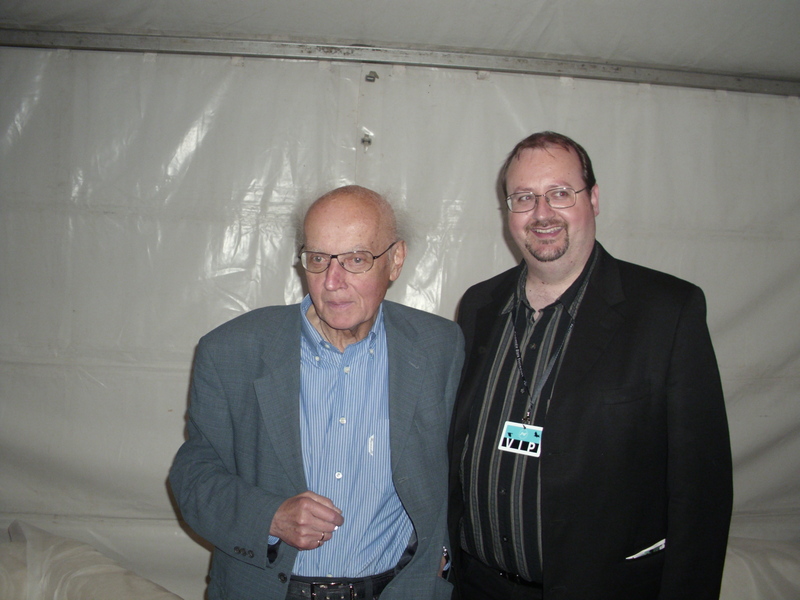 Being one of the most respected and popular composers in Poland, the Wojciech Kilar concert was broadcast live on Polish television, and featured tributes and accolades from directors Krzysztof Zanussi and Andrzej Wajda, the major and deputy major of Krakow, Jacek Majchrowski and Magdalena Sroka, and distinguished classical composer Krzysztof Penderecki, who was in attendance at the event. 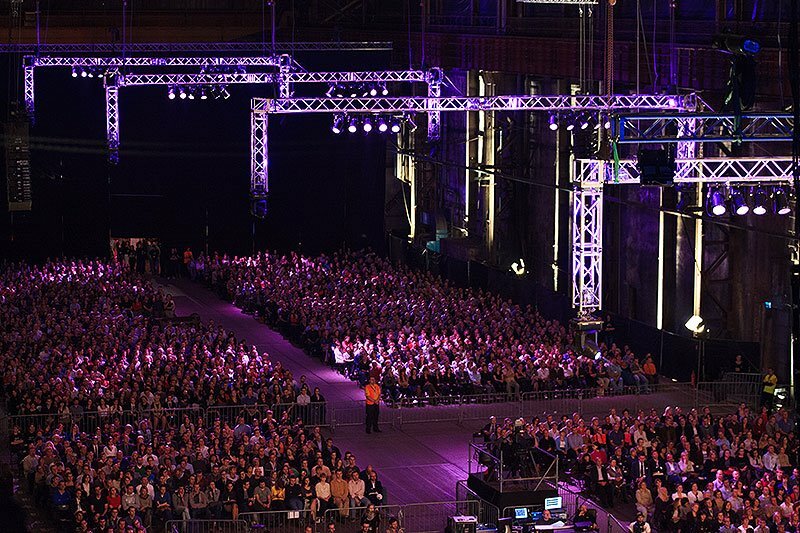 The IFMCA was honored to take part in this prestigious and important international event, which helped raise the profile of the organization, and really highlighted the way in which members of the IFMCA can contribute in a positive way to the promotion and celebration of the genre. 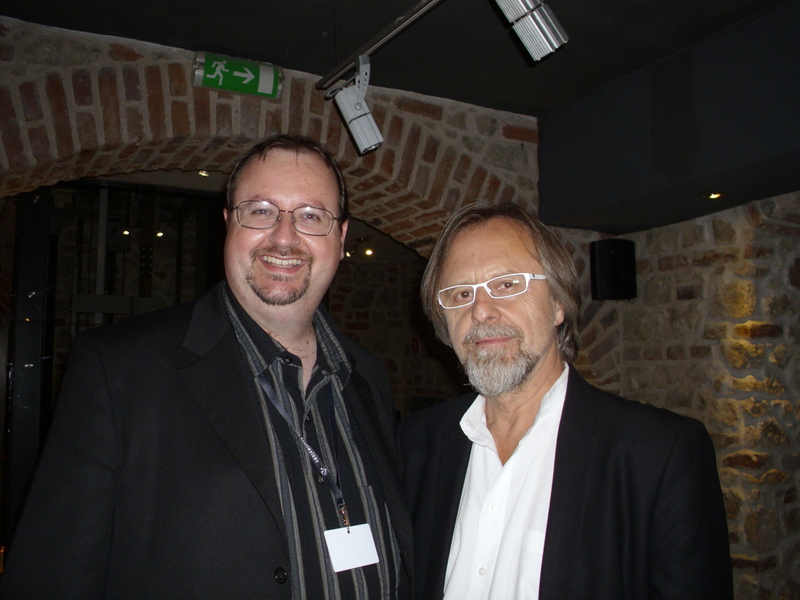 On behalf of the entire IFMCA, we would like to thank Robert Piaskowski, Zuzanna Gruner, Agata Grabowiecka, and all the organizers of the Festival for this tremendous opportunity to be a part of the global film music community. Jon, nicely done! Thank you for your efforts. Hopefully this will elicit more such events and greater public exposure to the IFMCA.